Columbia Boiler Company dates way back to 1936. The company started with creating boilers for basic steam operations. During the years of the war, they were fabricating steel holding tanks and heat exchangers. Since then the company specializes in boilers for residential, commercial, waste oil and industrial applications. 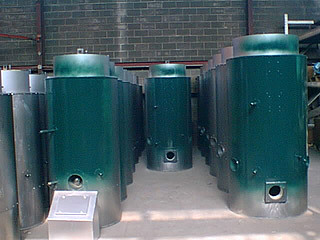 The industrial boilers are a huge part of the company. They offer a complete line of high pressure steam boiler systems. 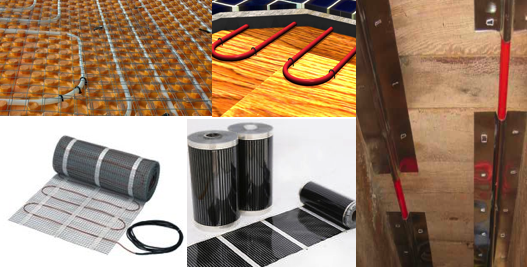 These boiler systems will cover a wide range of steam applications. These applications include the dry cleaning services, laminating, garment fabrication, sterilization plants, plating and dairy factories just to name a few. One of the boilers in their impressive inventory is the CT Industrial Steam Boiler. 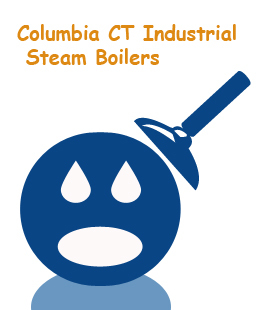 The Columbia CT Boiler has some efficient advantages as well as strong and reliable components. This boiler system is a three pass, vertical boiler with a tubeless design. This means that the boiler is made to be more efficient and more compact than other industrial boilers on the market today. The CT Boiler System ranges from 6 to 50 Horsepower with a 150 psi steam, there is a 250-psi available. This boiler system uses either # 2 Oil, Natural Gas, Liquid Gas or Dual Fuel. Some of the internal components on the Columbia CT Industrial Steam Boilers are the Pressure Gauge, Gauge Glass Protector, Water Column Blowdown Valve, Extended Heating Services and extended heating service fins. Some of the other features of the CT include an ASME Heat Exchanger with a 3 Pass Design created for maximum heat transfer as well as efficiency. The units have a larger steam surface area, which includes a larger steam chamber, high dome design for a quick draw and drier steam. There are 7 different models in the CT Series, as we mentioned the horsepower ranges from 6 to 50. The Gas Input ranges from 252,000 BTU’s to 2,100,000 Btu’s per hour. If oil is being used the Oil Input ranges from 2.00 to 15.00 Gallons per Hour. The water capacity on the CT Industrial Boiler range from 16 gallons to 240 gallons. The Columbia CT Industrial Steam Boilers are all factory tested, piped, wired and fully assembled before leaving the factory. It is important to follow all local and state codes when installing the system. There are 4 approved clearances from the UL that must be followed, the Side Clearance is 18 inches, the Top Clearance is 18 inches, the Front Clearance is 48 inches and the Chimney Connector Clearance is 18 inches. The Flue Sizes on the CT Boilers range from 6 inches to 12 inches. All boiler systems come with manuals that will provide everything you need to know about installation as well as Pipe Capacity, Required Input of Gas Per Hour. You will find Electrical Supply Information and everything you need to get the CT Industrial Steam Boilers installed and functional. If you are working with an outdated industrial boiler, contact your local Columbia Sales Representative for more information.